The F.O.R. 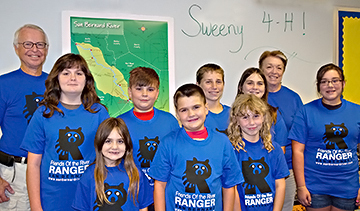 Ranger committee gave a presentation to the Sweeny 4-H Club on Tuesday, August 2. Presenters were Ken Wright, left, and Linda Wright, back right. The children of Susan Alford, F.O.R. 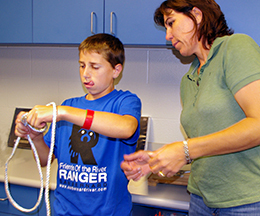 Environmental Committee Chairman, work at mastering nautical knot tying.